Using my real-world perspective as a small business owner, I deliver concrete take-aways that you can use today to shape the future of your town without getting beaten down by others’ negativity. Audiences feel energized and hopeful because they know how they can make a difference in their community despite opposition. You get down-to-earth advice, based on my current experience as a retail store owner, a cattle rancher and a life-long rural entrepreneur, including the “get your hands dirty” aspects that others gloss over. I don’t just talk about entrepreneurship and rural issues; I live them. My programs on small business, rural trends, economic development and marketing have given practical ideas to audiences at over 150 events including entrepreneur conferences, business groups, small town conferences, tourism associations, economic development organizations and chambers of commerce in the US, UK, Canada and Australia. You can choose programs on rural trends, small business, economic development, and marketing. All are interactive and packed with straightforward advice that can be put into practice now. Here are four of my most popular topics, and any of these can be a keynote, a breakout session, or a workshop. This topic shakes up old ideas about small towns. Audiences leave feeling measurably more optimistic (16.77% more optimistic in one survey) because they see exactly how they can shape a better future for their town in the face of opposition. Shifts in the global economy, new technology and changes in society have made the business world much more like a small town, refocused on local businesses and communities. We’re hungry for a return to business and life on a human scale. 21st Century leadership means relearning the practical principles that small town businesses have been using for years to succeed even in the worst hard times. 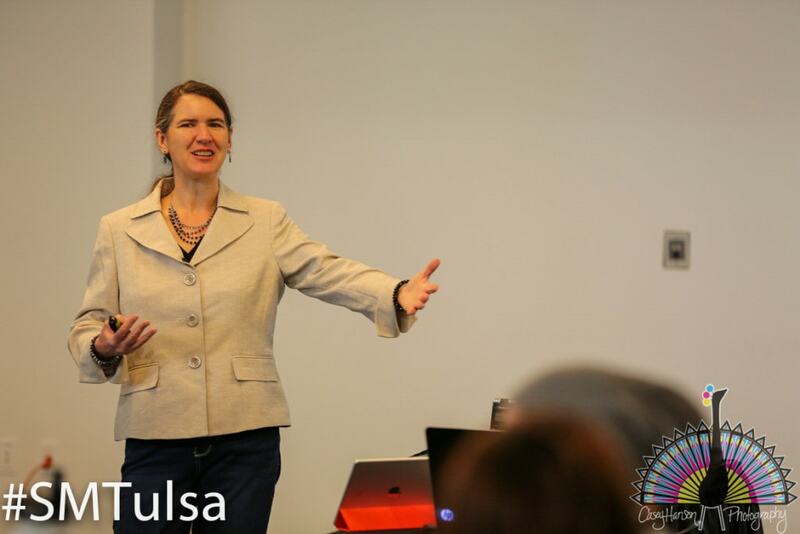 When you book me for a keynote, adding an interactive Q&A session makes a great second way to put me to work for you. 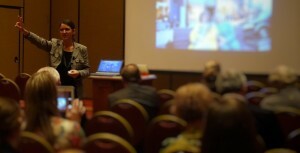 In your standard workshop time slot, a Q&A session means your attendees get answers to their most pressing questions. When your participants are the real stars, a moderated interactive session can help them share their best practices with the whole group. Most speakers hate this kind of interactivity, because inevitably someone wants to hog the mic or dominate the discussion. 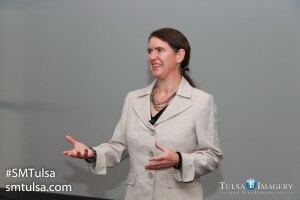 I excel at keeping things on track, moving the discussion forward, offering additional ideas and examples from my treasure trove of small town stories while still keeping the spotlight on the most important people: your attendees. This same ability to moderate the flow makes me an in-demand emcee and host for events, setting the participants up for success. The price is in the range of $5,200 to $5,900 plus basic travel expenses. A few times a year, I will agree to a lower rate for a small town that tells me their story. To open the conversation, stop by the Contact page and tell me about what would work best for you. Because keeping in touch with my own businesses is so important to me, I limit my speaking trips to one per month. You’ll find the currently available months on the Contact page. Next… more samples on the Video page.